Hey Coffeeholics! 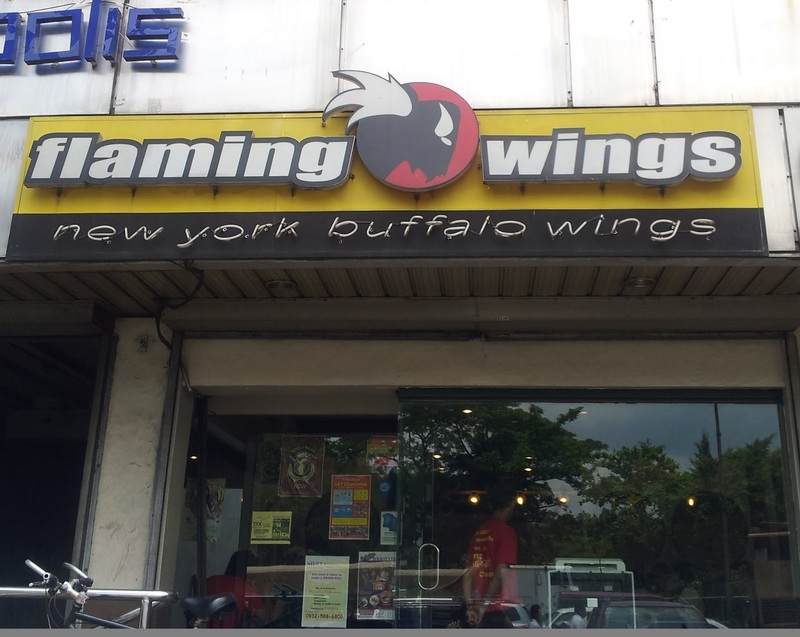 Have you ever tried eating at Flaming Wings - New York Buffalo Wings? My brother and sister has been raving about Flaming Wings for some time now and so I was glad I finally had a chance to try out their popular fare. 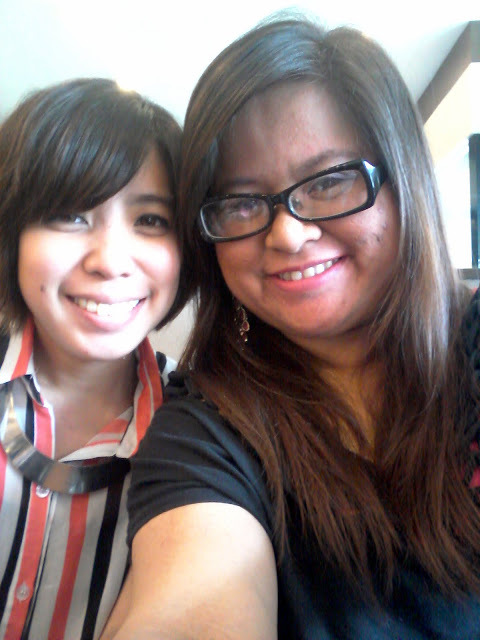 The branch that I went to was at their Katipunan Branch in Quezon City. I'll tell you right now that its not fine dining but a very simple restaurant with a "canteen" style feel to it. But even though the ambiance wasn't that great, the enticing smells seem to beckon more and more customers! It was lunch and so the place was really full. 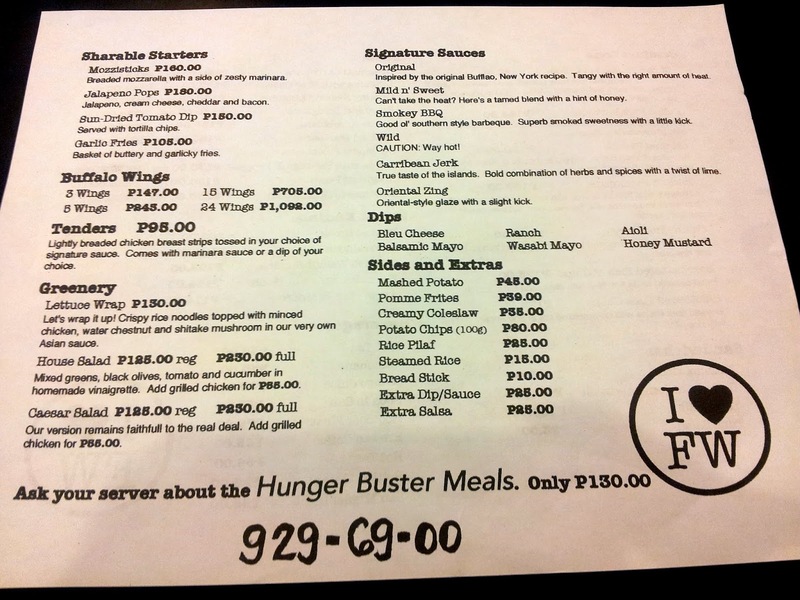 So here's the menu at Flaming Wings and one thing that you will definitely notice is the super affordable price! Oh diba? Compared to all the other "buffalo wings" types of restaurants, Flaming Wings is definitely a contender sa price pa lang. Rachel, my lunch buddy for that day advised me to go for the HUNGER BUSTER MEAL which was only P 130. 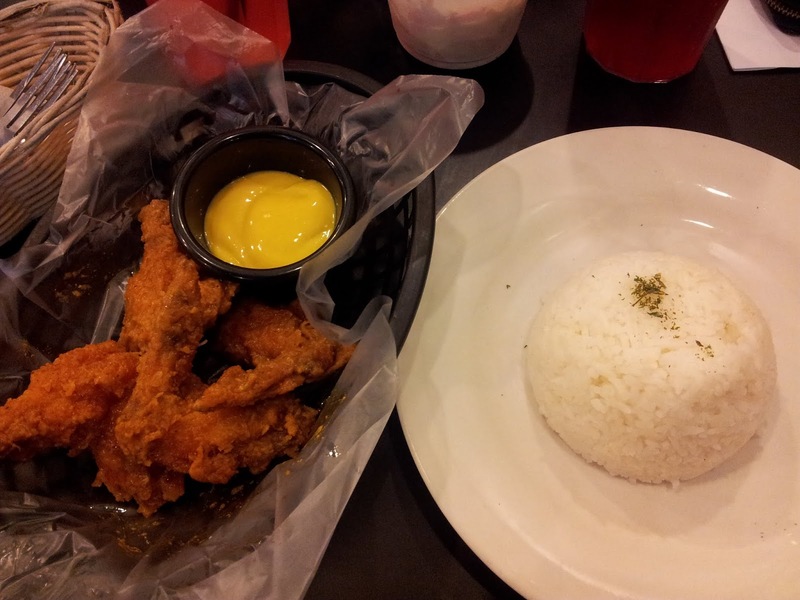 You get a choice between wings or tenders and one rice. I chose the wings with the Original Signature Sauce. I'm not really into spicy food :P. Rache got the Wild Signature Sauce. With the wings, you also get a choice of your own dip. I decided to get Honey Mustard while Rache got Bleu Cheese. 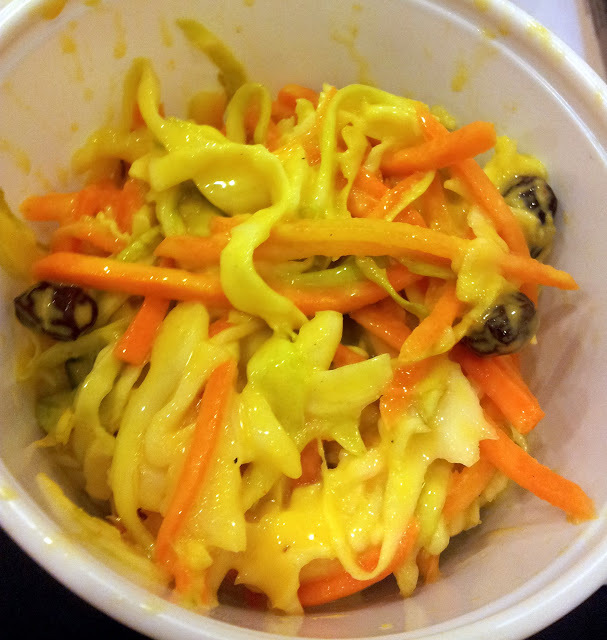 I ordered some coleslaw on the side para di ma-umay! 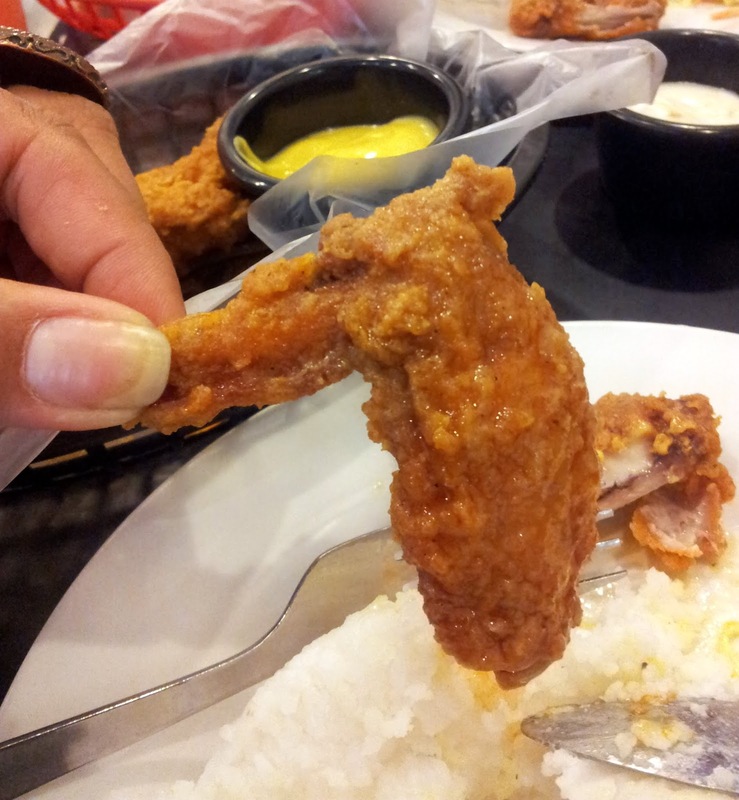 The chicken wings weren't that big as well but for me it was ok naman. But the flavor? And the taste.. I really loved it! The Original Flaming Wings wasn't too salty or too "saucy". Some buffalo wings I've tried was slathered with lots and lots of sauce. But in Flaming Wings, it was crispy light, the skin cooked just right, and the flavor was up to the bones. In fact, I could have finished the whole batch without any dip. Ganun kalasa at kasarap! Still I tried it with the Honey Mustard dip. It wasn't that bad but when I tasted the Bleu Cheese dip.. wow.. I suddenly wished that I had chosen that! It went great with the wings and blended well with the Original flavor. So I definitely recommend the Bleu Cheese dip. Anyway, I was supposed to take an "after" shot but nahiya na ko.. kasi puro buto na lang talaga! haha! The Verdict? I SHALL RETURN! Hehe. 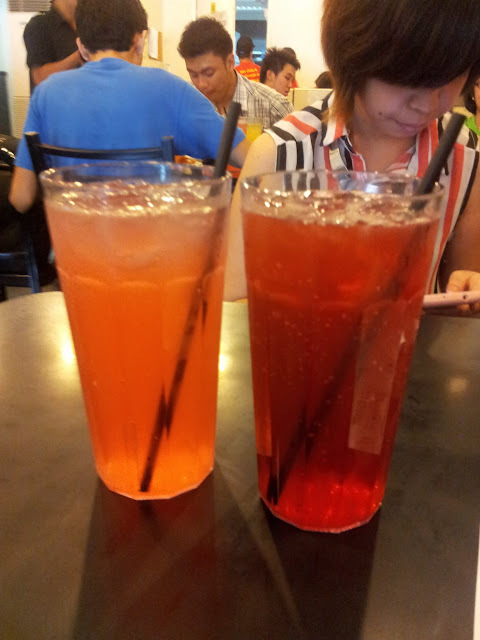 I definitely will come back to Flaming Wings again and try a different signature and dip. Me and Rache definitely left there with FULL and HAPPY tummies. 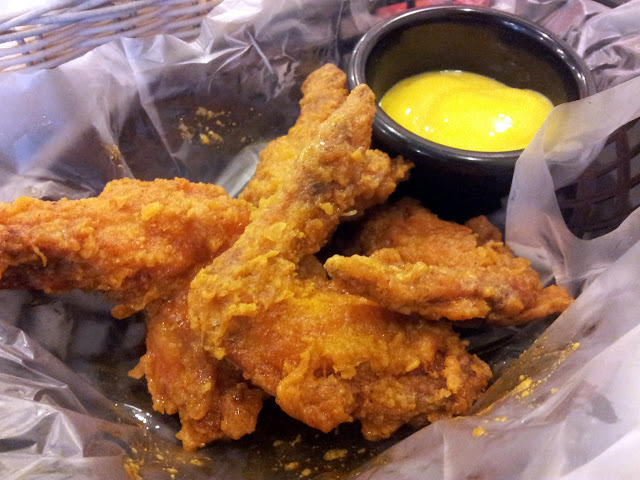 So Coffeeholics, have you been to Flaming Wings na? What would you recommend? Or let me know when you have tried it na. :) Happy Weekend! yup food tripping is fun!